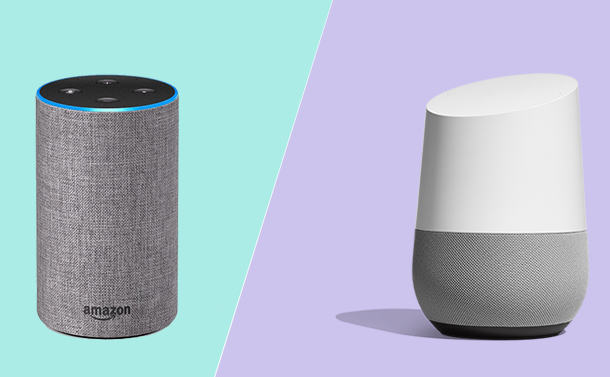 When we talk about smart speakers, the ones that strike our mind are Amazon Echo and Google Home. These speakers are assimilated with tons of features and capabilities. The shape and design itself made both alluring. Moreover, Echo and Home are tempting on the same shelves and it is difficult to choose one as both the rivals come with almost similar features and functions. However, there is a certain area where one is ahead of another. So, let’s check out everything that Amazon Echo has to offer but Google Home doesn’t! Google Home can let you know about reminders and call. However, you won’t get a notification if your product is out for delivery. Wherein Alexa can let you know about your order status as well. In fact, Amazon product also lets you enable your notifications for Domino’s pizza delivery status for your extra comfort. Listening to your favorite song when you are in bed helps you to get good night sleep and helps you get up with fresh mood. However, your nearby connected speaker is playing music when you are asleep doesn’t make any sense. So, you can set sleep timer with Amazon Echo so that it automatically stops at the specific time wherein Google Home doesn’t come with the feature. If you’re ordering using your Amazon Alexa-enabled speakers then you can easily track the status of your packages that you’ve ordered with your voice command. In order to know the current status, you need to say is, “Alexa, where’s my stuff?”. The best part is Alexa will provide appropriate amount of information, it will share the status of the package and let you know about the estimated delivery. Well, Google can track most of the deliveries on your device. However, the feature of tracking your shipment is not available on Google Home speakers. Alexa comes with tons of amazing amenities whether you want to book a cab for your appointment or drop you back at your doorstep. Alexa can easily help you book a cab for you without touching your smartphone. However, Google Home lags in it too. If you’re looking forward to controlling your Amazon Echo with your voice commands then you can do it just by using an Alexa Voice Remote. However, you need to pay $30 to buy it and it is not available in Australia and United Kingdom. If you’re using Google Home and want to control it with your voice then you need to add second Google Home to make it possible that might cost you around $129. Alexa on the Amazon Echo support comes with an attractive and super-effective feature know as Routines. This feature allows you to turn on lights, play songs and change music according to your mood without having to do that physically. You can get breaking news headlines, listen to the favorite song, temperature or weather conditions by setting up an intelligent assistant with your voice for daily routine. You can do it with morning greetings by saying “Alexa, Good Morning”. On the other hand, Google Assistant is not able to do such task for you. Let check out what else Amazon Echo offers that Google Home doesn’t and vice-versa. So, these are some of the things that your Amazon Echo can capable of doing it for you wherein Google Home can’t. Let us know in the comments below what do you think about it.